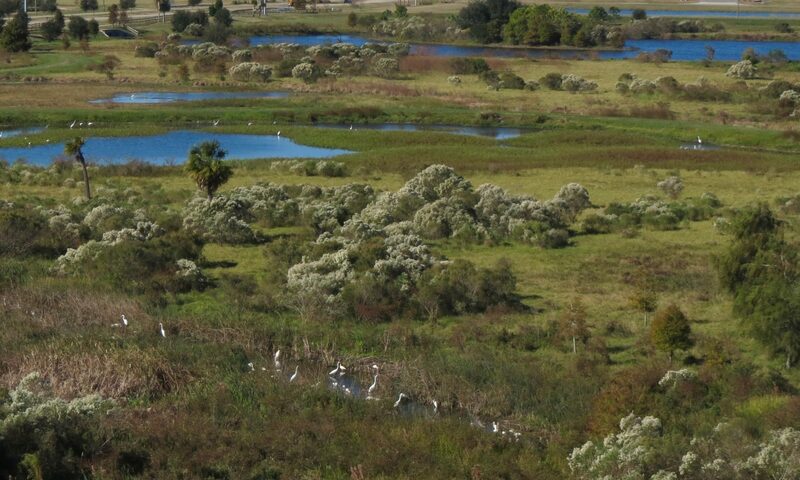 Say NO to Construction & Demolition Debris Processing at the Celery Fields! On Thursday, June 1 at 5:00PM, the Sarasota County Planning Commission UPDATE: On Wednedsay, August 23rd at 9am, the Sarasota County Board of County Commissioners will hold a Public Hearing to consider a proposal (Petition 17-01) to rezone Celery Fields lands and grant a special exception to the applicant which would allow a “construction and demolition” (“C & D”) debris processing facility to be constructed there. The plan involves operating concrete crushers, wood chippers, and other similar machinery to reduce the size of the materials. The plan calls for dozens of trucks to enter and exit the property each day, beginning at 7am, Monday through Saturday. What Property Will Be Used? There are a total of 3 parcels which, if approved, will be combined together in order to construct this facility. The southern parcel of land (~1.8 acres), which stretches from Porter Road to Apex Road, is also owned by TST Ventures, LLC. The eastern-most parcel of land (~10.3 acres), at the southwest corner of Apex Road & Palmer Boulevard, is owned by Sarasota County and appears on County maps as part of the Celery Fields park (see the Field Guide to Conservation Lands as an example). This property, one of the 4 parcels known as “the quads,” was purchased as part of the County’s land acquisition process during the early stages of constructing the Celery Fields Regional Stormwater Facility. Recycling is a fantastic idea. The problem isn’t recycling construction and demolition debris or yard waste. The problem is doing so on conservation lands. We’ve written in the past about why the County’s process for selling so-called “surplus lands” needs to be revisited, and this project is a perfect example of the sort of terrible idea that could be avoided if that process were as transparent as it could be. Sarasota County has spent at least $24 Million in the construction of the Celery Fields Regional Stormwater Facility. They’ve spent an unknown additional sum construction the Celery Fields park. Why jeopardize that investment by allowing noise pollution, air pollution, and water pollution of the sort produced by operating concrete crushers, wood chippers, and other machinery involved in the processing of construction and demolition debris and yard waste on this land? The larger portion of the land involved in this proposal is public land, owned by the people of Sarasota County. There are far better uses for this land than selling it to a developer for a project of this sort. Furthermore, there are much better locations in Sarasota County for facilities like this. In fact, Mr. Gabbert previously built a similar facility, which he subsequently sold, and which is still in operation today. As you can clearly see, this type of activity is not compatible with the green spaces along Palmer Boulevard, the stormwater facility, nor the natural habitat for birds and other wildlife at the Celery Fields. The Citizens for Sarasota County have prepared a complete timeline that lays out the history of this idea. Update: 5/22/2017: Here’s a much more detailed letter if you’d prefer. It does an excellent job of covering the issues. Thank you to a resident of The Hammocks for putting this together! Thank you for your service to the Citizens of Sarasota County. I’m writing to let you know that as a resident of Sarasota County, I am opposed to Petition 17-01. The construction of this type of facility at this location is not compatible with its surroundings. Please vote to deny this Petition. Do you have questions? Feel free to ask them by leaving a comment below!